Curtis Jere or C. Jere is the production name for Curtis Freiler and Jerry Fels of the Artisan House Corporation. 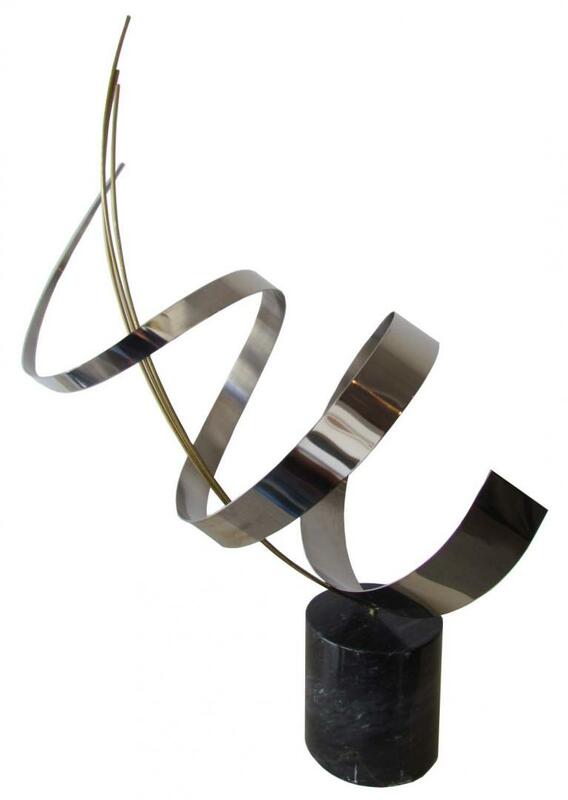 They combined pieces of their own names to create the C. Jere signature found on many of their metalwork sculptures and household accessories. Co-founders of Artisan House in 1963, Freiler was the production chief and his brother-in-law Fels was the head of design. Artisan House’s stated mission was to produce “gallery-quality art for the masses”. Jere sculptures were distributed by Raymor Studio in New York City, and retailed at high quality emporiums such as Gump’s in San Francisco. Curtis Freiler and Jerry Fels sold Artisan House in 1972, but the company still produces many similar artisan house sculptures including some of the original Jere designs of the mid 60’s. They also have an exclusive partnership with Jonathan Adler to reissue their most successful mid-century designs. Artisan House’s new sculptures are no longer produced in California as were the originals , but have outsourced production to China (starting in 2003). C. Jere created a wide range of objects including lamps, mirrors, andirons, and furniture. However they are most famous for their wall sculptures range from enameled natural scenes to edgy abstract metal wall sculptures that use accentuating shapes, colors and textures formed in copper, steel, brass, and bronze.